If you're like me, you can't get enough Dilbert, and you get the RSS feed from Dilbert.com, or you have the calendar. (I have both). I came across a rather interesting comic about blogging about work. 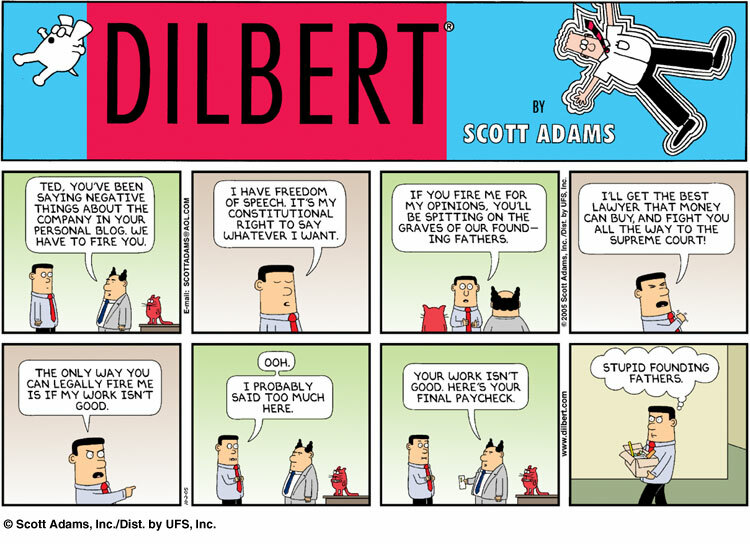 I thought I'd post it here, since it's large, I'm Linking to the Dilbert Cartoon.